Home Android tricks Record sound on your Android using Earphones! Its easy to use app! Just plug in your earphones with mic and click on record option in the application & it will start recording audio directly from the microphone on your earphones! 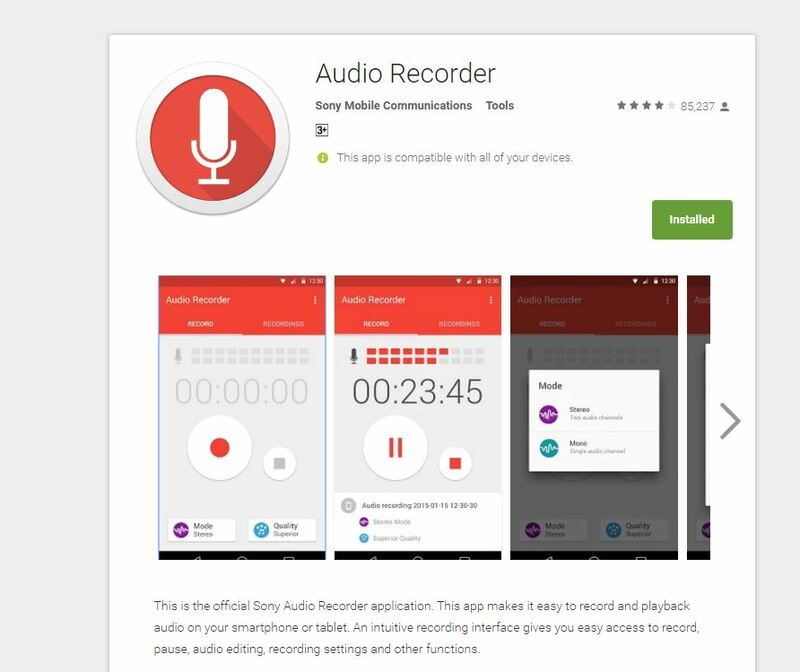 This is the official Sony Audio Recorder application. Previous articleXiaomi Mi MIX – Phone captured from a Sci-Fi movie! Next articleSony MDR-XB50AP EXTRA BASS Earphones Review! Excellent Microphone for voice overs!